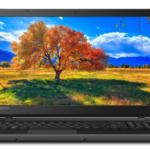 Toshiba CB35-A3120 is a new released 13.3-Inch Chromebook equipped with a 1.4 GHz Celeron 2955U processor, 2 GB DDR3 RAM, 16 GB Solid-State Drive, a 13.3-inch diagonal HD display with 1366×768 resolution, an Intel HD Graphics, 802.11bgn WiFi, and up to 9.0-hour battery life. It's running on the newest Chrome OS. 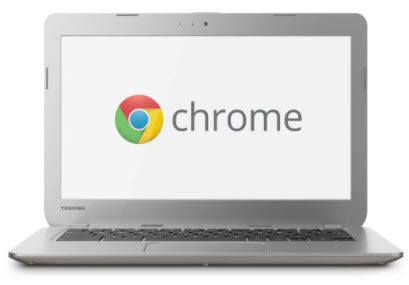 The Toshiba CB35-A3120 Chromebook has a full-size Chrome keyboard and spacious touchpad makes getting work done a cinch online with an increasing number of productivity-driven apps like Gmail, Calendar, Docs and more that enable users to continue working even when not connected. 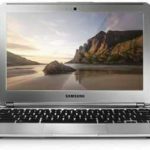 This chromebook weighs just 3.3 pounds and features a slim, less-than-an-inch profile and textured finish. It's very convenient to take it anywhere with you. It's also ideal for growing families, it comes with multi-user support so you can create a custom experience for each user. 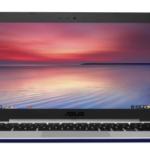 Just turn on your Chromebook, tap your photo and sign in to your own homescreen, apps, email, photos and storage. Very convenient, huh? 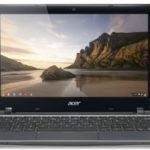 The most important thing is, Google is the strongest supporter of this chromebook, you'll get every Google service in one Chomebook, all your cloud stuff is here. So what do you think about the Toshiba CB35-A3120 13.3-Inch Chromebook? Oh, by the way, the price is $279, super low, huh?